Omar Khadr has started the process to come back to Canada. Lawyers for Khadr, who is serving eight years in a U.S. prison for killing a U.S. soldier when he was 15, have filed the paperwork required to start the repatriation process. Omar Khadr has started the process to come back to Canada. Lawyers for Khadr, who is serving eight years in a U.S. prison for killing a U.S. soldier when he was 15, have filed the paperwork required to start the repatriation process. Corrections officials have received the request for transfer and now have to determine if Khadr is eligible to return to Canada to finish out his sentence. Once Canadian officials determine that, they send an official request to American officials. If U.S. officials agree, Public Safety Minister Vic Toews has the final say. He has the option of refusing the transfer if he decides Khadr is a risk to public safety. The process is expected to take about 18 months. A spokesman for Toews said he doesn't comment on individual cases. 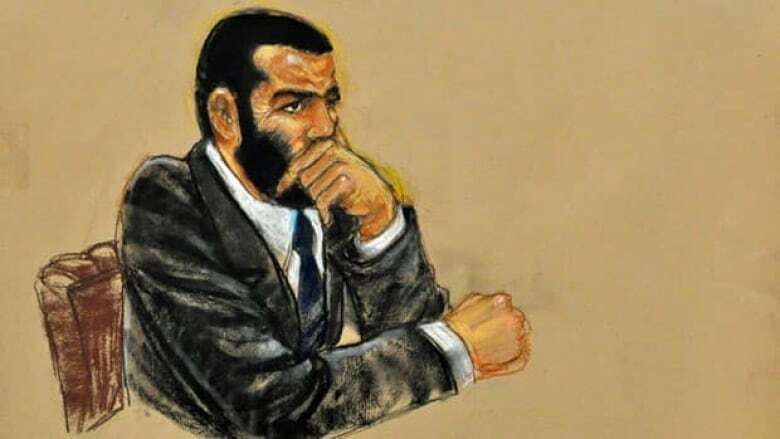 The Canadian Embassy said in a memo dated Oct. 23, 2010, the Canadian government "is inclined to favourably consider" a request for a transfer to Canada for Khadr to serve the rest of his sentence after another year at Guantanamo. Khadr is not allowed to fly into U.S. airspace, according to the plea deal, CBC's Laurie Graham reported last fall from Khadr's trial. Once in Canada, he'll be subject to normal Canadian laws and will be able to apply for parole after serving one-third of his sentence. Khadr will not be able to profit from his story. "If he writes a book, any profit, any money made, will go back to the Canadian government," Graham said. U.S. military prosecutors had called Khadr a radical jihadist, but U.S. Navy Capt. John Murphy softened his tone when he was asked whether Khadr will pose a threat when he's eventually set free in Canada. "By returning him to his own country within a year, that presents the best prospects for his rehabilitation," he said. Dennis Edney, Khadr's Canadian lawyer at the time of the trial, said that when he is released Khadr will not live with his Toronto family members, who have openly supported al-Qaeda. "He's not a radical jihadist," he said. "He's a victim. He's a victim of his family, his father, adults, and he's a victim of this system." Khadr pleaded guilty to five charges brought by the U.S. military, including killing Sgt. 1st Class Christopher Speer in Afghanistan in July 2002. He has been in custody since then.